Katherine Mullen's blogs on coin collecting basics. Where Will the Next Big Coin Discovery Be Made? 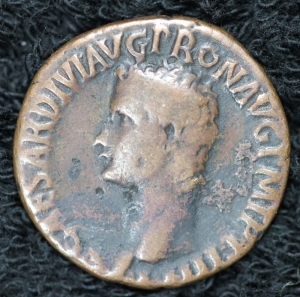 Amazing coin finds have been all over the news in the past several months. At SUNY Buffalo, faculty member Philip Kiernan recently hunted down a “lost” collection of Greek and Roman coins, both gold and silver, that had only been a rumor for decades. The coins’ previous owner, Thomas Lockwood, donated the coins, some of which date back to the fifth century B.C., as part of a larger donation of literature and relics. Twelve of the coins are a collection of Roman coins, one from the reign of the first twelve Roman Emperors, including a very rare coin featuring the Emperor Otho. He ruled only three months. These coins had remained in archival storage for decades until Kiernan tracked them down. He is now planning a graduate level course around them so that students can use the coins as tangible aids to their study of history - the same purpose Lockwood originally purchased them. Fortunately for these students and the university, the coins did not show damage, despite the fact that the were not properly stored. In February, in the harbor in Caesarea, a group of divers made the largest coin discovery in the history of Israel: almost 2,000 coins from the eleventh century A.D. These coins were minted in during the era of Fatamid caliphs Al-Hakim and Al-Zahir, and are in denominations common to the era: dinars, half dinars, and quarter dinars. Kobi Sharvit, the director of the Marine Archeology Unit at the Antiquities Authority, speculated that these coins may have been en route to Cairo as a tax payment to the central government there. Then this month spelunker Hen Zakai made a second important discovery in an Israeli cave when he was exploring with his father and a friend. Two silver coins from the era of Alexander the Great were tucked away within a nook in a stalactite cave in Northern Israel. The coins display Alexander’s image on one side and one of Zeus on his throne on the reverse. Silver jewelry, including rings, bracelets, and earrings were also found. The Israel Antiquities Authority speculated that this may have been a stash meant to be retrieved by its owner at a future, safer date, perhaps after the war that broke out in the area after the death of Alexander the Great. These are the kinds of discoveries that make life interesting. As opposed to other relics, coins definitely have an advantage in terms of resiliency - metal survives better than paper, fabric, wood, or pottery. These ancient coins have several types of currency: their monetary value, their historical value, and their aesthetic value - which means that an ancient coin discovery makes the world richer in all sorts of ways, and not just for rare coin dealers and collectors. We at Mullen Coins would love to help you find a piece of history to study, own, and keep. If that is your passion, contact us today. We are your coin dealers in Grand Rapids, Michigan. Katherine Mullen came on board in 2012 to manage the business side of Mullen Coins. Pat Mullen is Mullen Coins’ numismatist. Ride along as Katherine learns the basics of numismatics. Friday, 25 January 2019 What Are Large Cents?